Cell Phone City is a family-owned and operated, Fort Wayne small business. We are the longest running cell phone repair business around. We are proud to provide top quality, honest and reliable service for your smartphone repair needs. Most of our repairs are done the same day, and many are done in an hour or less. We use the highest quality replacement parts for your iPhone. Our superior testing standards mean when you get your cell phone back, it is ready to go. Your phone is tested several times during the repair process. This means that you get fast repairs and high quality parts, from a local business. Most repairs can be done the same day. We do this because we are experts at repair. We have extensive training and are constantly learning. The majority or our iPhone screen repairs are done in an hour or less. Give us a call today for a quote and an estimate on how long it will take us. Cell Phone City was founded from a love of technology and most importantly Helping People. Helping people is what we do at Cell Phone City. If you are having phone problems, we are here to help. We started our first store on Coliseum Blvd and in 2016 we moved to Northcrest Shopping center. We are here to help, just give us a call or stop by. We run our business with the customer in mind. 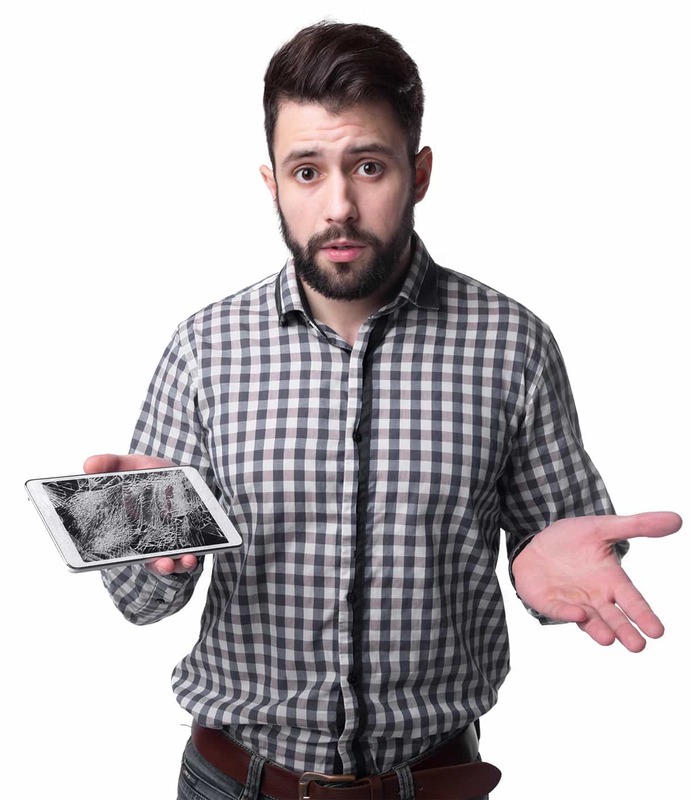 We know that your device was expensive and we don’t want to charge you another arm and a leg to get your device fixed. We pride ourselves on low prices and high quality repairs. We are not a large franchise business. We operate only out of our location here in Fort Wayne and love that we can provide you with a personalized hometown service. You are not only visiting a small business, but a family business. When you come to Cell Phone City, you are a part of our extended family and we greatly appreciate you. Thank you. We like to be on top of our game. We will learn how to fix the newest devices as soon as they’re available for us to test, tear apart and re-build. We want to know how to replace your new phone before anyone even breaks one. Established at the beginning of 2010, Cell Phone City is a local family-operated cell phone repair business located in Fort Wayne, Indiana. We are the original and most experienced cell phone repair business in Fort Wayne. Our technical team consists of experts with the knowledge and repair industry certifications, to handle and repair the most delicate mobile device. We are dedicated to providing our customers with the highest quality, transparent, and reliable smartphone service. To this end, we have also partnered with the best in the United States based parts suppliers, to supply us with the highest quality replacement parts. In an effort to minimize the inconvenience that the customer suffers, we service your phone in the shortest period possible without compromising the quality. When starting Cell Phone City, our aim was to provide the local community with the most honest and straightforward, affordable, efficient and reliable mobile phone repair service possible. Since its inception, the popularity of cell phones among the Americans has increased tremendously. Almost every aspect of our lives today is connected to our smartphone. The slightest problem with your cell phone can cause a major inconvenience. This has made our services even more necessary and Cell Phone City has continued to evolve to cater for that need. From our humble beginnings in a small Canterbury Green apartment to our first store location on Coliseum Blvd, we have now settled into our location in the Northcrest Shopping Center, right next to Five Guys. Going into the future, we will strive to be the most trusted and knowledgeable cell phone repair provider in Fort Wayne and the surrounding areas. Cell Phone City’s core business is mobile device repair including iPhones, most other smartphones, tablets, iPad, and notes. If we can get the parts we should be able to fix it for you. Whether you need a diagnostic service, a water damage repair, screen replacement, new battery, or charging port repair, we’ve got your back. Our aim is to have your phone performing at its best and thus we do our best to restore it to the way it was when you bought it. We offer some used and refurbished cell phones in our store. We get the highest quality used and refurbished devices from United Stated based vendors. Our inventory is always changing; give us a call to find out if we have what you are looking for. If we don’t have it we can usually, special order most devices in just a few days. If you have a slightly used smartphone that you want to dispose of for whatever reason, give us a call, we only buy specific models, but give us a try and find out. Being the first cell phone repair service providers in Fort Wayne was challenging but it also came with its share of blessings. Over the years we have amassed immense knowledge of cell phone technology, the local community, and business in general. We also have the strongest network of suppliers all located in the United States and are therefore reliable and fast. Contact us today and for a free quote or answer to your question. We are a team of naturally curious and innovative people. However, learning through curiosity alone cannot help us achieve maximum potential in this business. We have organized training programs that must be completed to complete various aspects of our work. At Cell Phone City your phone will be repaired by an iFixit Master Technician. This ensures your phone is in the most experienced and knowledgeable hands in the industry. A promise no other store can offer you. Issues such as; phone repair, diagnoses, troubleshooting, quotes and customer service are all addressed by certified experts. This has helped us stay on top of the industry and manage the customer experience. Through such strategies, we are also able to handle cell phones with the latest technology on the market. Smartphone technology and use have been increasing at a tremendous rate in recent years. Everyone in the cell phone repair business, therefore, needs to keep up with the latest trends and devices. Luckily, the Cell Phone City team loves to stay on top of the cell phone world. Our exploratory nature has helped us stay up to date on the most current cell phone repair techniques and technology. As a result, our repair work has continued to become more and more efficient as we grow. Cell Phone City has grown beyond our imagination over the years that we have been in operation. Moving forward, we want to continue growing. To do so, we will continue doing the same things that got us this far, performing high quality, honest, dependable repairs at competitive prices. As well as embracing new ideas and techniques that enhance the services we provide. Our current used and refurbished cell phone sales business is still in its early stages of development. In the near future, we hope to accelerate its growth. As always, we’ll keep you in the loop on any updates! What Makes Cell Phone City Tick? Affordability – we are a small local company with quality standards that exceed the industry standard. In most cases, we are still able to maintain competitive prices. If you ever want us to match a competitor’s price, just ask. We will do our best. We also take our customers’ feedback seriously. We want to continuously improve and meet your needs. Contact us today if you have any comments or recommendations on ways we can improve our service to the community we serve.